Every 27 years, Pennywise, the child-eating clown from Stephen King’s novel IT, resurfaces to terrorise the town of Derry. With 2017 marking the 27th anniversary of IT, newly-launched agency Mr. Glasses and its sister marketing company Showtime Marketing won the pitch to promote the new IT movie Down Under in a very creepy but clever way. The man behind Mr. 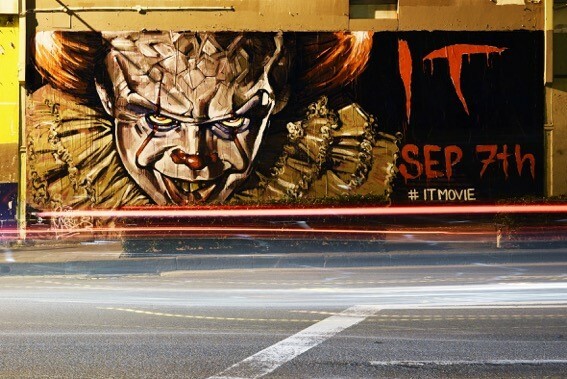 Glasses and Showtime Marketing, Chris Campbell, said the client (Village Roadshow) restricted the agencies from using imagery of Pennywise, the clown depicted in the movie, in executing the marketing stunt. “We thought, ‘If we can’t use him as the movie does, we’ll create our own versions of him’,” he told B&T. 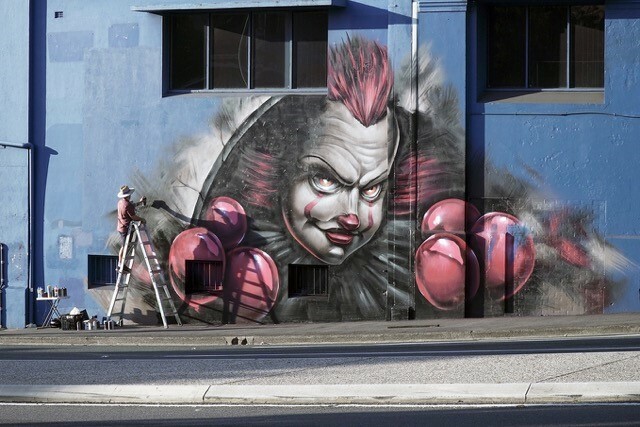 “We had street artists paint their interpretation of what Pennywise looked like on walls in Sydney, Melbourne and Brisbane. “In each city, in prime locations for everyone to see, we made a video of the whole process. 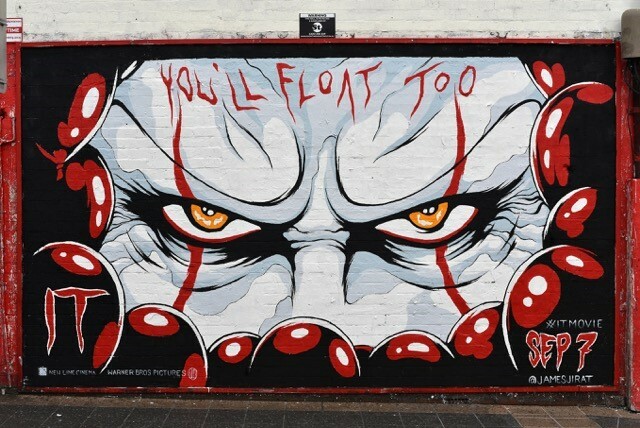 Campbell said the companies also pitched an ambient street marketing stunt for Sydney streets using the iconic red balloons, which are prominent throughout the movie, coupled with storm water drains. “By floating the red balloons above storm water drains and subliminally allowing people’s imaginations and inquisitiveness to question what it’s all about, if the penny didn’t drop there and then it was only a matter of time until the tease revealed itself,” he said.